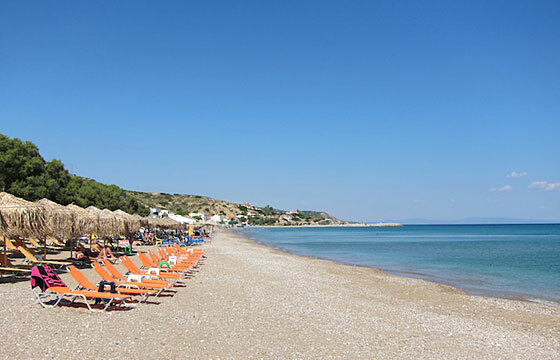 Komi is rightfully considered one of the most beautiful and popular beaches on the island of Chios. This marvellous sandy beach is fully organized with sunbeds and umbrellas and filled with cafes, bars, restaurants and fish taverns serving local specialties, freshly caught fish and seafood. The crystal clean cerulean waters, the sandy sea bed and golden sandy shore make this beach a perfect choice for water sports activities and family beach excursions.